3. Navigate to the folder that the NK2Edit tool is extracted to and double click on “NK2Edit” executable file. 4. If an “Open File – Security Warning” pop-up windows appears, click Run. 5. Navigate to the location of auto-complete cache file on user’s desktop. This is the cache file associated with the user’s old Outlook profile. 6. Create a folder on user’s desktop, call it “<username> Auto-complete Backup” and copy user’s auto-complete cache file to this folder. 8. Navigate to the folder that you have backed up the auto-complete cache file. 13. Navigate to the backup folder and open the CSV file. 15. 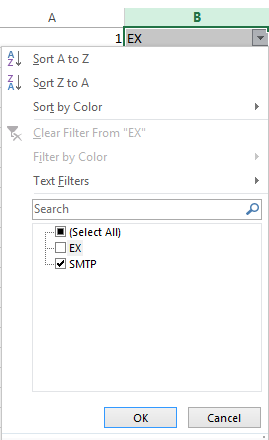 Apply a filter on B column of this spreadsheet by removing the EX values. This will only leave out the SMTP addresses. Note: this column contains all email values of the auto-complete cache file. If you need to remove some of the values from this list before uploading them to user’s mailbox, here is the place to do it. 17. Go to Office 365 OWA https://mail.office365.com and ask user to login to their account. 19. 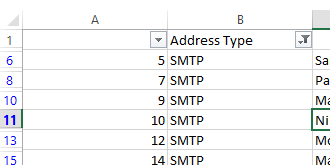 In the To box, paste all values that you copied from the F column of the spreadsheet. 20. Zoom out on the internet browser so you can see the whole message. 21. Wait for a bit till all email addresses are detected in the To box. 23. 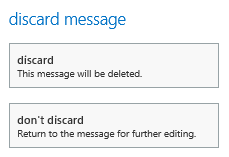 On the discard message pop-up click discard. Thank you, this worked great. Do you know of a way to remove the recently used addresses? I have a couple of users with mistyped ones. There has to be a simple and efficient way of getting files transferred to and from a web server and FTP is the solution. Thanks for this info but some points are still unclear for me. It’s a drudgery that takes a lot of time. Thanks God I’ve found an utility that helped me to deal with it, find more details. It imported live mail to outlook in a matter of some minutes with my minimal involvement. Thanks to a convenient user interface and a powerful engine, the complex email migration task became for me something that even a fifth-grader can handle with ease.